I know I should be posting Part II of my Lion King reflections (which by the way, since that first post I’ve heard the soundtrack about 15 times. It’s a miracle that I can sing any other song in my head at this moment). But I would be remiss to let this very special Sunday pass by without a few words of reflection. 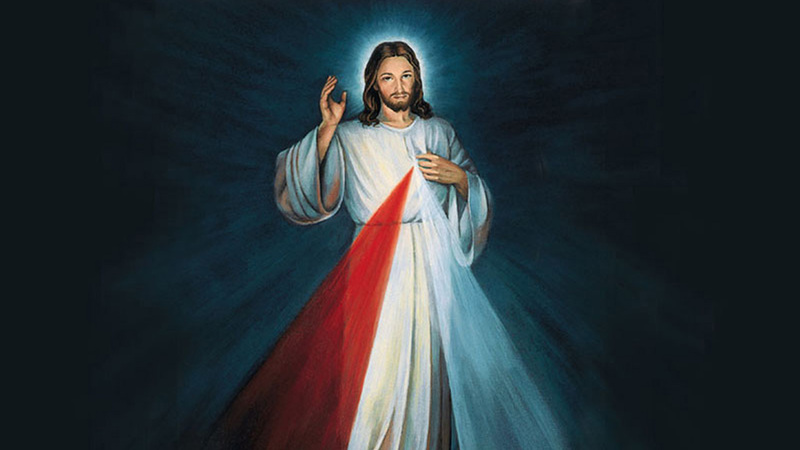 The first Sunday following Easter is a unique Sunday celebrated by the Catholic Church called Divine Mercy Sunday. We are celebrating the incredible love and mercy that flows from Jesus, our savior. At Mass today we even had a large portrait of the image of Divine Mercy. John and Rosie were so intrigued by the change. They kept asking about the colors coming from Jesus. I loved watching them notice the change in our liturgical space. It means that they really are observing and starting to participate in the rituals, which is so incredible as a parent. On the topic of parenting and mercy, what a huge job parents have. When you really stop to think, from the earliest of days a parent’s actions, words, tones, looks, etc., are all taken in by our children. Lessons of discipline, respect, obedience, trust, and honesty are all so important for the development of both the child and the parent. Mercy, however, may be one of the most important things that a parent can teach. We demonstrate mercy when we are compassionate. We teach mercy when we extend forgiveness. We live mercy when we do not let yesterday’s hurts shadow over today’s triumphs (or struggles, or joys, or hurts). Pope Francis, our wise pope, has declared that starting in December this year, the Church is going to be celebrating a extraordinary Holy Year (usually these happen every 25 years, the last being in 2000, hence the “extraordinary”) of Mercy. http://w2.vatican.va/content/francesco/en/apost_letters/documents/papa-francesco_bolla_20150411_misericordiae-vultus.html. This is going to be an incredible year. We all have a chance to make a difference, make a change, for mercy. Pope Francis says “Mercy is the very foundation of the Church’s life…The Church’s very credibility is seen in how she shows merciful and compassionate love.” One of the really cool things about our Church is that it sees families as the foundation, the building blocks of the whole Church. Families are called “domestic churches,” a microcosm of the global Church. If my family is a microcosm of the Church, then my family is called to have mercy at our cornerstone. I hope to focus on learning about mercy and teaching/modeling mercy for our family. Keep up with Pope Francis if you can, he’s shaking things up all over the world.